K.V. Anand’s recent directorial flick Ayan had been very successful at the box office.According to latest news, all is set for Surya and director K.V. Anand to join hands again. The movie is titled as Matraan and will start rolling in March 2011. 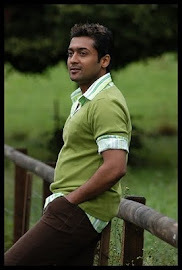 As known to all, at present Surya is busy with Murugadoss' 7aum Arivu while K.V. Anand is busy directing Ko starring Jiiva and Karthika in the lead roles. Sources close to the unit confirm that Suriya will be seen playing a unique role of Siamese twins. The current news about the project is that director Anand is trying to sign in Bollywood beauty Sonam Kapoor or Sonakshi Sinha as Surya's heroine. Stay in tune for more details.